Users that have several computers in their house and have an Internet connection, usually use a WiFi router to provide Internet access to all the computers in the household. This is without a doubt the most practical and simple option. But, if you don't want to spend money buying a router or you simply want to try something on your local network, download FreeProxy. 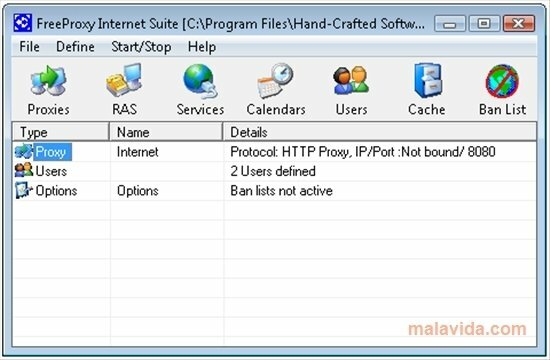 FreeProxy is a professional application designed to configure the connections of the computers connected to a local network, managing the shared use of the Internet connection, as well as the printers and certain folders. 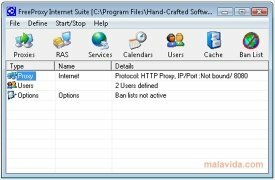 If you are looking for an easy-to-use application to share your Internet connection with your home network computers, try out FreeProxy.